It all started with the dream of entrepreneurship. 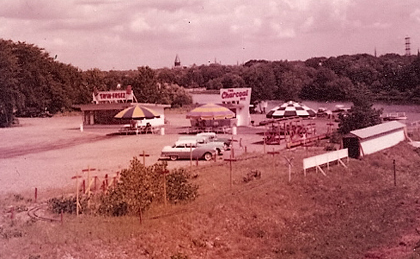 Jack Brenan often visited Florida and he especially enjoyed drive in ice cream stands. 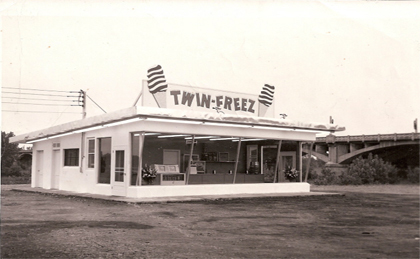 He wanted to build a ice cream place of his own and after studying the drive-in ice cream places in Flordia he took those ideas and created his own version but in Scotia, NY. The business was a success and in 1956 he opened the original Charcoal Pit which was replaced 3 years later by a much larger building that we still use today. Also, the train ride was built about the same time as the original Charcoal Pit. 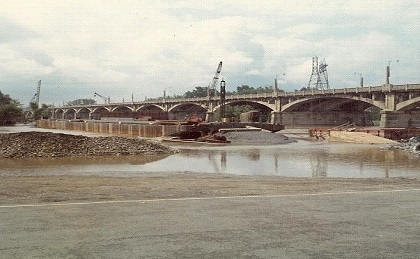 The new replacement bridge started construction, the state purchased alot of land from JJ's to remove much of the sharp turn in the original bridge. The original road sign was replaced, a row of umbrella canopies was lost and sadly the famous train ride had to go. 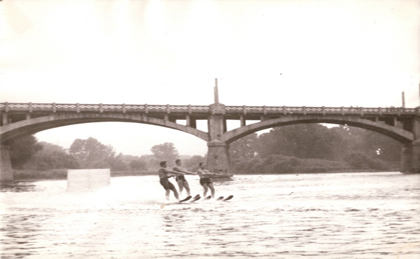 Jumpin' Jack's Donated the land to the Village so the bicentennial barge would have a place to dock in Schenectady County. 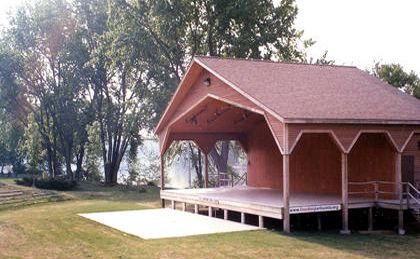 It has been remodeled acouple of times since it was originally built and has a fantasic concert series every year! 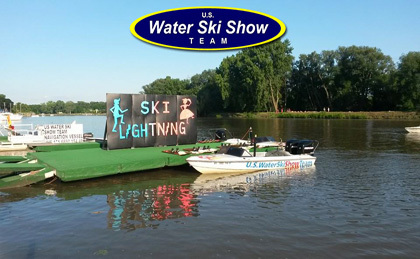 Jumpin' Jack's becomes the new home base for the US Waterski Show Team. They have been performing here ever since! Jumpin' Jack's was battered pretty bad from Hurricane Irene and a short time later Lee. 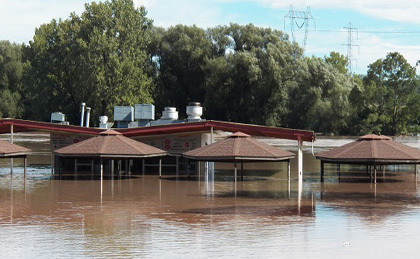 In the aftermath of the damage it was decided that Twin Freeze needed an expansion so a larger front room, prep kitchen, and bigger handicap accessible bathrooms were built after the cleanup from the flooding was complete. 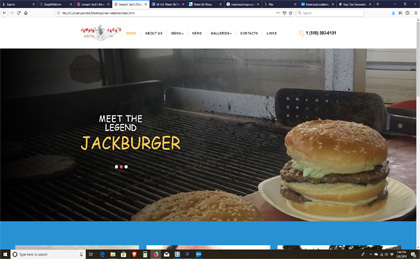 Jumpin' Jack's is celebrating 10 years of being online with a new website!